Don’t miss the latest episode of Westminster Seminary California’s Office Hours podcast, featuring an interview with Rev. Kevin DeYoung, pastor of University Reformed Church in Lansing, Michigan. Rev. 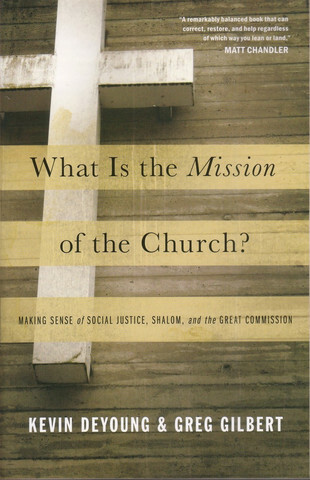 DeYoung is the co-author of What is the Mission of the Church? and writes from his unique perspective as one who “ought to be Emergent, but isn’t.” Office Hours host, Dr. R. Scott Clark discusses with him how the biblical mission of the church compares to some of the many trendier ways of being “missional.” One of the key issues they discuss is the fact that the promises of God for the individual and the cosmos, both of which are contained in the gospel which it is the church’s mission to proclaim, are positive blessings which God will bring about in his time and in his way, and for which it is not always intended that we are to draw up a missional strategy of social outreach in order to participate in the fulfillment of these promises. Kevin DeYoung also blogs at the Gospel Coalition. I just subscribed to his RSS Feed.